GOOD LORD TOUR IS COMING THIS SEPTEMBER! Hey everyone, we can’t wait to hit the road for the GOOD LORD Tour in September. We’re super excited to be playing some of our favourite venues around the country. 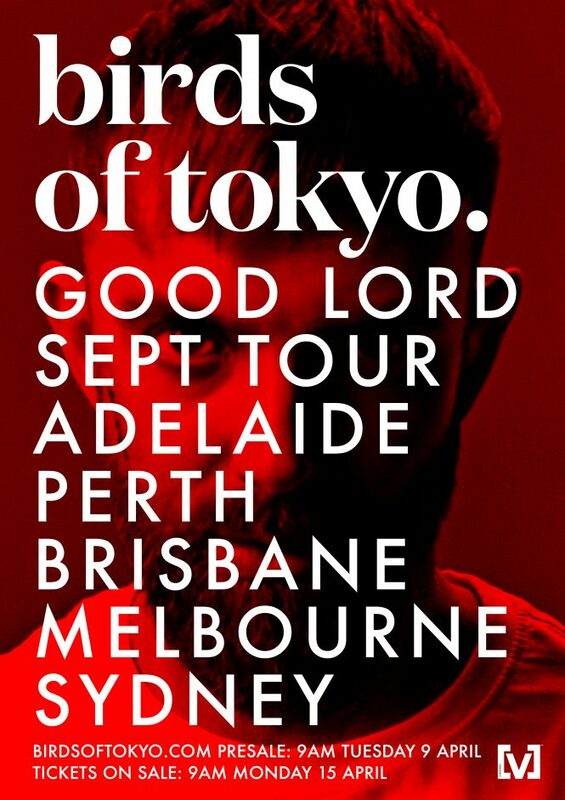 Fan pre-sale starts Tue 9 April 9:00am (local time) via www.birdsoftokyo.com/pre-sale. General public on-sale start Mon 15 April 9:00am (local time) via www.birdsoftokyo.com/tour. See you at the show!